World-renowned for its award-winning wines and olive products, Kloovenburg also produces table grapes and figs for export. 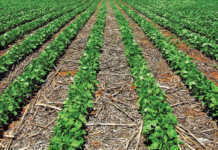 With four sons all wanting to farm, Annalene and Pieter du Toit are planning to diversify their farming enterprise even further. Keri Harvey paid them a visit. The Du Toit family at the entrance to the estate. From left: Johan, Anton, Annalene, Daniel, Pieter and Pieter-Stef. So it’s not surprising that Pieter and Annalene’s four sons – Pieter-Stef (20), Johan (17), Anton (14) and Daniel (13) are already discussing buying and running a hunting farm. Pieter adds jokingly that the boys have already decided exactly who will do what on their farm. 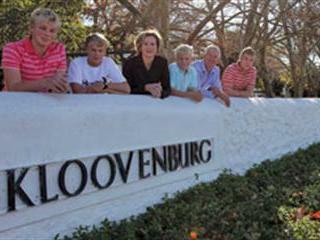 Kloovenburg, in the Riebeek Valley, was established in 1704, but only produced its first wine in 1858. Then, nearly a century later, the cellar was closed when the then-owner joined the Riebeek Cellars co-op. Pieter opened the cellar again in 2000, although he had farmed Kloovenburg since 1986. “For the first two years I farmed with my father. Then when he retired he wanted to see my bank statement every month – that was all he required,” says Pieter. The estate produces both red and white wines, which are highly sought after. Pieter says Annalene put up a board at the gate that read ‘Wine and olives for sale. Hoot for attention’. “Back then we were happy if one car a day stopped by, now 12 years later we easily have 40 cars a day in season.” There is now 120ha of wine grapes on Kloovenburg and the cellar is doing well. We do between 8 000 cases and 10 000 cases per season, and also produce about 1 000t of grapes that we sell to Riebeek Cellars and KWV. Kloovenburg’s olive oils are world-renowned. The first olive trees on Kloovenburg were planted by Pieter’s father, after he saw olive trees growing wild in the mountains. From the initial 5ha, there are now 28ha of olive groves on Kloovenburg, which Pieter says is enough for now. In addition to the vast selection of olive oils, condiments and beauty products sold, fresh olives are also sold to suppliers. While Annalene is also Pieter’s wine taster, youngest son Daniel is her olive taster. “My focus is just on the olives for now, because with four sons who do extreme sports and are accident prone, I need to be ready to drive them to hospital at any time,” she jokes. Pieter and Annalene first considered farming figs when they saw fig trees while on holiday in Greece. ‘‘All the biblical foods are back in fashion (olives, grapes, pomegranates and wine) and figs are one of them,” says Pieter. Now Kloovenburg figs can be bought fresh in Marks & Spencer and other chain stores in the UK, as well as in Canada – and some local outlets too. Currently Pieter has 7ha of Parisian fig trees, producing dark black figs currently sought after, fresh or sun-dried. Annalese also makes fig rolls and uses the farm’s figs in her fig and olive jams. “We even have a licence to produce fig mampoer, but not for selling purposes,” adds Pieter. “On our market days we open our doors to the public to enjoy our products,” says Annalene. 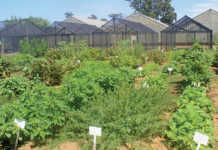 “People can buy directly from the farm and we get brand exposure and the chance to interact with our customers.” Pieter adds that the Kloovenburg Wine and Olive Club is the next innovative offer for customers and will include discounts on Kloovenburg products as well as for lodging at their guesthouse, set among the vineyards. Unusual products are available for tasting, such as olive jam. 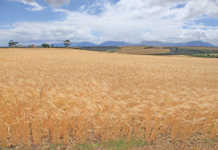 While Kloovenburg is a total of 365ha, about half of it is mountains with wildlife in abundance. Conservation projects – in conjunction with CapeNature – are underway here to conserve small antelope and contain the burgeoning baboon and wild pig populations. Indigenous trees are also being planted in these areas in a bid to ‘give back to nature’. “At the moment all the boys want to farm,” says Pieter, “but for now rugby still comes first. They are interested in all aspects of the farm and want to be involved, because they have seen that hard work pays off. I believe it’s very important that they learn responsibility.” Since they were small, the boys have been included in all the farming processes. Pieter-Stef has always helped with the winemaking, but likes the table grapes aspect better at the moment. Johan used to help at olive tastings and found it amusing when customers tasted uncured olives that were simply for display purposes, now he considers himself the winemaker among the brothers. Anton may be the astute accountant in the team, while Daniel has all the makings of an excellent marketer and is honing his skills selling boerewors rolls at the market days. “We believe you must crawl before you walk, so with whatever we do, we start small. We also believe you have to know how to do the job yourself before you can teach anyone else how to do it. And we are blessed with really excellent staff,” says Annalene. Pieter adds that it’s essential to keep seeing opportunities in farming.